Global Education Management Ltd or GEM for short is a UK Based company supporting Globally Universities, Colleges and Students with their International Educational Travel Experiences, Cultural Exchange and Training overseas. We are 100 percent British SME and proud of being a UK based company. Thank you for coming to us. We have recently changed our web site to share with you our successes, values and inspiring stories. We hope this would be informative and help you decide on the next steps for your Educational Travel Experience with us, Cultural Exchange and Training. We welcome your feedback so please feel free to contact us on administration@gemplacement.co.uk. Your interaction is most welcome as we all continuously evolve. GEM's values and services match those of the UK Government's aims to increase cultural educational exchanges for young people; develop employability and vocational skills and increase international trade and educational collaboration. We pride ourselves in helping you as graduates and making a difference to your careers and life experiences. Most of our interns have a life changing experience that gives them a new perspective on life and builds their self confidence, soft and hard skill sets and gives them the ability to manage themselves, become more culturally aware; problem solve and improve their language abilities. They become more mature and clearer about their future career paths. Page 2 of our web site has a more information on this. To make the most of your experience it is important that you are hard-working; have a positive attitude, genuine nature; make friends; flexible to change and adapt to a new country's customs, language, laws, food, weather and people. Those that do these things will have an excellent time travelling and with their overseas exchange programme. Why us? - Adding Value and Building Trust. Established and Stable - we have been established for over 10 years as UK company and have over 20 years experience in education. We have proper offices and staff in an accessible location. No Middlemen and Agents - we spend time to cultivate and work directly with Colleges and Universities so exchanges and mobility projects complement academic studies and are an assessed integrated component of the course. Direct Local Liaison - We also have a direct local liaison team in different countries to support students and colleges. This improves collaboration and communication. Personal Service and Pastoral Care - we counsel you from start about the options that match realistic and genuine training needs and support you throughout your travel and training. We monitor your progress and provide on going guidance especially pastoral care. You are therefore seen as an individual. Clear Terms and Conditions and Documentary Requirements - we give you clear information including the processes, procedures, evidence needed and clear refund policies. If in doubt we can be reached. We also clarify what we can do and what we cannot. Structured Training Plan and Learning within a Corporate setting - We work directly with Industry to ensure training is up to date and relevant for the 21st Century. Official Government Authorised Exchange Programmes - We follow the conditions set by each Government for Cultural Exchanges and Mobility programmes and work directly with the Sponsors. We also follow industry guidance on youth exchanges. Documentary Exemptions - We are often able to obtain documentary exemptions based on the trust we have built up with different organisations. Also move applications forward faster because of our links. This is based on a case by case basis. Direct Government support - we work with official bodies like Foreign and Commonwealth Office (FCO), UK Trade and Investment (UKTI), British Council and British Embassies to assist the UK Government aims for: increasing exports overseas from SMEs; increasing cross cultural bilateral youth Exchanges; Youth Mobility projects; Vocational Training and Employability skills. Innovating - we constantly innovate, update and move forward and work strategically with Network Partners including those that have expertise and specific licenses and approvals. Cost Effective - our programmes offer net financial benefits as set and controlled by Government policies in different countries thereby giving a reasonable cost effective programme. Equal Opportunities - we support clients from across the world, gender and religion as long as they meet government conditions for the programmes. 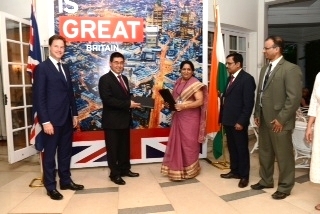 GEM on the former Deputy Prime Minister's trade mission to India and signing a Memorandum of Understanding with Amity University at British High Commissioner Residence with the former British Deputy Prime Minister. "As India works to expand its own education sector, both academically and vocationally, we want to boost those ties - with more student exchanges, joint research projects and learning partnerships. 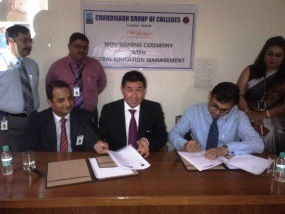 Today, UK-based education company, Global Education Management Ltd for instance signed a valuable new agreement with Amity University to provide vocational training." Click here for a full transcript of a speech and other links and Information. "This is to confirm we know and have worked closely with Frederick Young, Global Education Management Ltd for their India offering. 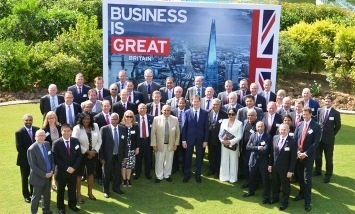 It is an authentic British company and is currently being supported by UKTI to promote its services in India. Global Education Management Ltd is working in the areas of supporting students go on Cultural Exchange for the UK under the area of Government Authorised Exchange programmes and other international destinations." Click here for information on educational exchanges and educational links promoted by the former UK Deputy Prime Minister. The signing of an MOU with College Principal and Director of Chandigarh Group of Colleges Punjab (left) and Aissms Pune exchange of MOUs with the College Principal, College Secretary and British Trade Office (right). Keep up to date with Global Education Management Ltd with newly added pictures and video on Flickr and our blogs on Tumblr and Twitter. The link in the Flickr box will take you to Flickr where you can see our pictures and videos in full size. Also included in this section is a video of interview done at Garden City College Bangalore on 28th August 2014 after a Seminar on Trends within the Hospitality Industry. We also wish to thank our supporters - students, college staff, parents, government bodies - for supporting our work throughout the last 10 years. Good Fortune and Success to all. We aim to help with managing your development, inspiring success and overcoming challenges. Remember, however hard you work there is always time to relax and enjoy yourselves, as our interns in the UK and around the world have found. This web site is divided into 4 sections: please feel free to browse. You can register with us on section 4 Next Steps or contact us on administration@gemplacement.co.uk with your questions. Managing your Development, Inspiring Success and Overcoming Challenges. GEM is looking for further mobility projects; government exchange sponsors; host organisations and Colleges and Universities. Please feel free to email us also on administration@gemplacement.co.uk to discuss further. 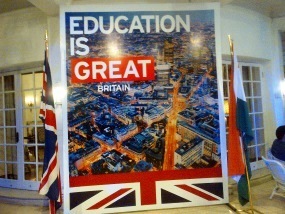 August 2014 Global Education Management Ltd is selected to join the former UK Deputy Prime Minister on a Trade Delegation to India. They will be visiting Delhi, Mumbai and Bangalore. 9th July 2014 Mr Frederick Young of Global Education Management Ltd addresses a seminar on internships and placement at T John College. October 2013 Global Education Management Ltd is selected by UK Trade and Investment (UKTI) to attend the "India Marketing Strategy Scholarship Programme" at SP Jain College Mumbai. 2011 Global Education Management Ltd makes presentations at ICEF Berlin 2011 to an International educational delegations on the opportunities for International	Cultural Exchange. Our web site policies and privacy policies are found on page 5.